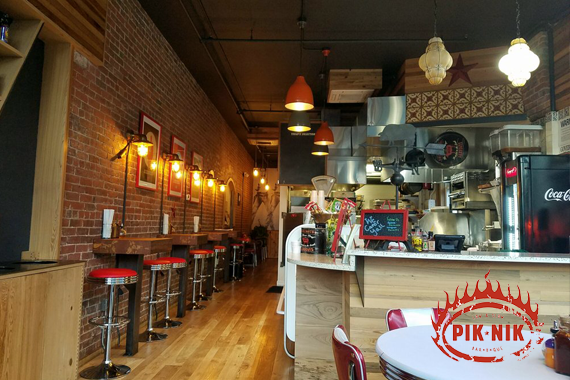 Pik Nik BBQ is the Tarrytown region’s answer to mouth-watering, wood-smoked meats. Brisket and ribs, sausages and chicken, and so much more. "We know our brisket is mouth-watering, but resist the urge to lick your screen. #PeaceLoveAndBBQ #TheRealDeal #LoHudEats #MainStreetEats"
"Perfectly-smoked brisket, crispy sweet potato fries, and an ice cold refreshing root beer -- a true triple play for your taste buds! " "Where good days become great. #PeaceLoveAndBBQ #MainStreetEats #LoHudEats #TreatYourself #TheRealDeal #GiftCardsMakeItEasy"
"Seeing is believing, but tasting is proof. If you haven't visited yet, we'd love to see you around soon!" "Life’s not perfect but that doesn’t mean your meal can’t be. #PeaceLoveAndBBQ #TheRealDeal #MainStreetEats #LoHudEats #TreatYourself"
Yes, I'd like to receive news from Pik Nik BBQ. Sign up for the Pik Nik BBQ Newsletter!